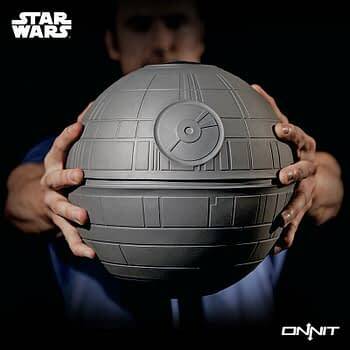 Onnit–a Texas based company that offers supplements and gym equipment for people who are serious about working out–has released a pretty awesome line of Star Wars inspired gear. The line includes everything you need to get an effective workout, or to bulk up before fighting Darth Vader (or whatever Jedi you want, to be fair). There’s kettle bells, a slam ball, and a yoga mat. If you’re looking to add items to your home gym, they even have a Marvel line as well. If I had an in home gym I’d be inclined to buy them, but for now I’ll just use the very plain and not heroic Life Fitness equipment at my gym. Price wise expect to pay between $65-$200 for the items.